I have loved going to Camden for some time now. It's funky, multicultural, vibrant, and has loads of places where vegans can enjoy different types of food. VBurger joined Camden Market in July 2017. I'd heard lots about it before and after they opened, and then finally got to enjoy one of their burgers a few days after they had launched their business. 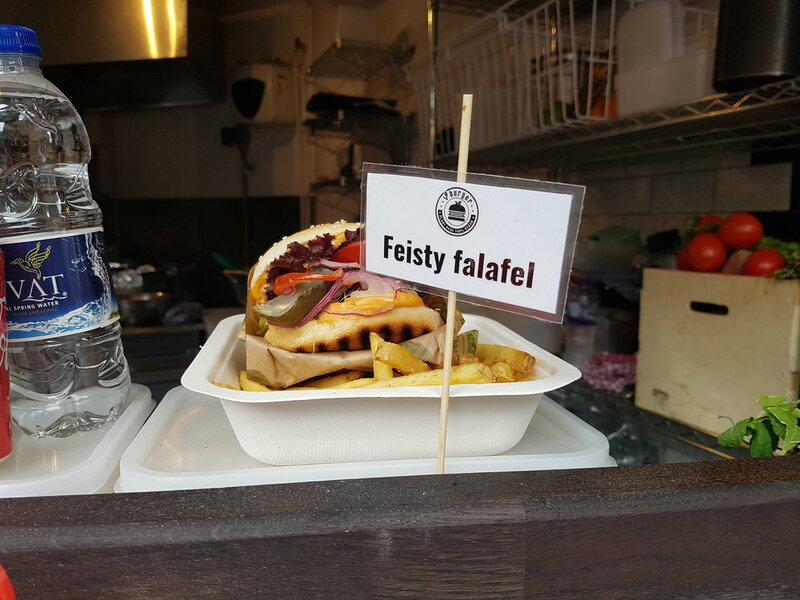 One of the co-founders, Amir Wayman, took our order, and upon request, told us which burger was his favourite, which was the most popular, and how they'd tried to set up the business so that it's practical, fast, friendly and efficient. I also loved his resolve! He didn't mind us buying a drink from elsewhere, and enjoying it with our meal, as long as it was vegan. Suraj and I shared a burger and we loved it! Unfortunately, we couldn't try two different ones because we were meeting friends for dinner and the gap between the two meals wouldn't have been long enough! 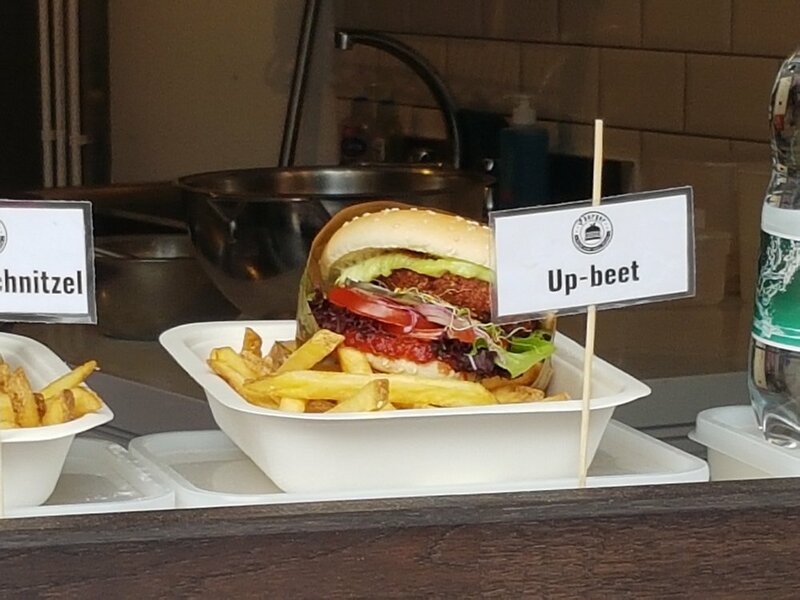 VBurger replaces beef with vegan patties that are made with beetroot, falafel and seitan schnitzel. This can be enjoyed with vegan cheese or avocado. The sides they offer are skin-on fries, sweet potato wedges and coleslaw. For dessert, they have brownies and energy balls. You can read about other vegan options below.